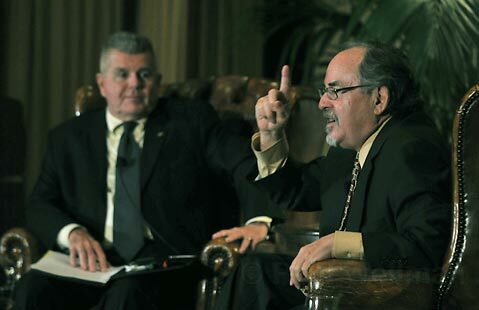 Thursday evening, more than 400 Tea Party supporters came to hear the controversial David Horowitz speak on the party’s behalf at Fess Parker’s Doubletree Resort. 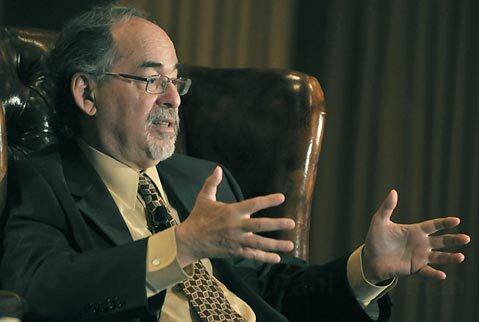 Horowitz lived up to his adversarial reputation by exercising what, in his words, is the most fundamental American right: “the right to blaspheme,” giving a provocative and inciting speech that was more a declaration of intranational political warfare than it was a discussion of issues. The event fell on Tax Day and celebrated the one-year anniversary of the growing movement. The general atmosphere of the room was charged with anger and fear, and seemed to drive much of the party’s platform, which Horowitz advised to keep general and based on opposition to progressive liberalism. 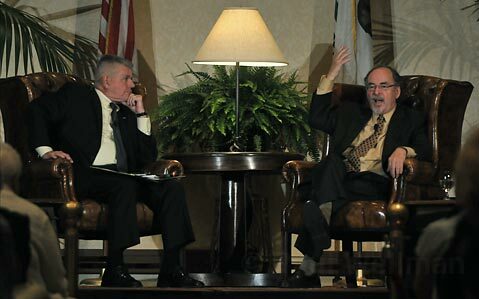 In his opening remarks, Ward Connerly held that “anger is something difficult to sustain — and if we want to make change, we have to sustain that anger for a long time … We need to rally behind whatever nominees we come up with, because it’ll be better than [who’s in office] now.” Horowitz, on his part, described the political situation in broad terms of warfare, and argued that the Left is essentially communism in disguise and will be the country’s downfall, and that liberals “hate the country and are very dangerous.” He stated that those on the Left are entirely different types of people, while the crowd of predominately affluent, middle-aged-to-elderly white citizens nodded their heads in agreement. “When we hear the word ‘solidarity,’ we think of communism,” said Horowitz, only half-joking. There was more fire than fuel in Horowitz’s speech, which was riddled with contradiction. For instance, he said that the Left was both “nihilism” and “a religious crusade to change the world,” and while he compared the Tea Party movement to another Great Awakening, the Party itself closed speeches with a prayer. He said that he wanted to keep government small, while still funding a war overseas and enforcing laws that govern individuals’ behavior, such as those regarding the use of marijuana. The rest was essentially a litany, offering little in the way of solutions to the issues. While members of the Tea Party were highly supportive of him, some made sure to say that he was not the voice of the party, and that they simply wanted smaller, less invasive government. “If you cut taxes, the economy will grow, and if you take away incentive [by taxing business owners and producers] — well, you take away incentive,” said a man named Tony who chose to withhold his last name. “Rights granted by man can also be taken away, [but] life, liberty, and the pursuit of happiness are inalienable — having justice doesn’t mean having the government make decisions for us.” Others were critical of the new system of health care, and of supporting the 47 percent of citizens who don’t pay taxes, and in their opinions, undermine national identity. They advocated a liberated market and a system of natural outcomes and consequences with minimal governmental interference — without all the fire and brimstone of Horowitz.